LAGOS, Nigeria (AP) — The Nigerian village that suffered one of the world's worst recorded incidents of lead poisoning is now habitable and doctors can start treating more than 1,000 contaminated children, a doctor and a scientist from two international agencies said Friday. For some, it already is too late to reverse serious neurological damage, said Dr. Michelle Chouinard, Nigeria country director for Doctors Without Borders, told The Associated Press on Friday. Some children are blind, others paralyzed and many will struggle at school with learning disabilities, she said. Doctors Without Borders uncovered the scandal in 2010 but nothing was done until this year about the worst-affected village, Bagega, because the federal government did not provide a promised $3 million, the group said. The poisoning caused by artisanal mining from a gold rush killed at least 400 children, yet villagers still say they would rather die of lead poisoning than poverty, environmental scientist Simba Tirima told the Associated Press Friday. 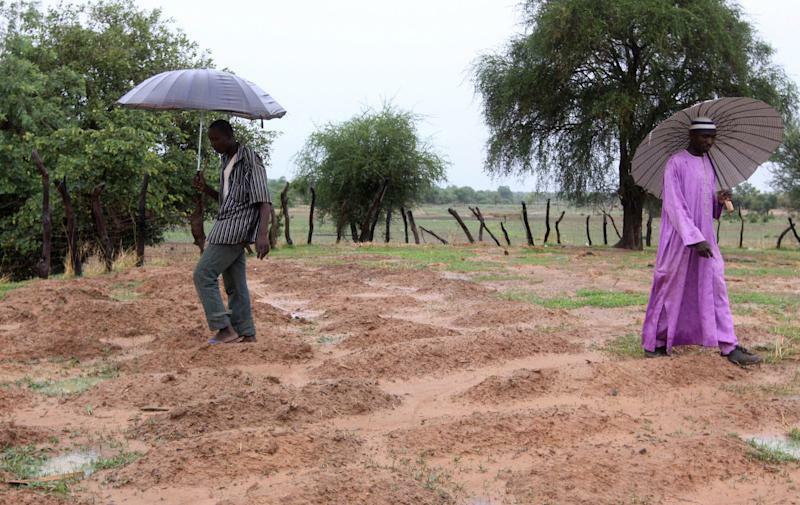 Villagers make 10 times as much money mining as they do from farming in an area suffering erratic rainfall because of climate change, he said. Managing five landfills with some 13,000 cubic meters (nearly 460,000 cubic feet) of highly contaminated soil, and teaching villagers how to mine safely are major challenges to prevent new contamination, he said. "That's a big, big worry. But I am joyful that for the kids who will be born in Bagega, we have at least removed one of the major strikes against them because they have so many strikes against them — nutritional problems, diseases ..." said Tirima, who is the field operations director in Nigeria for TerraGraphics International Foundation. 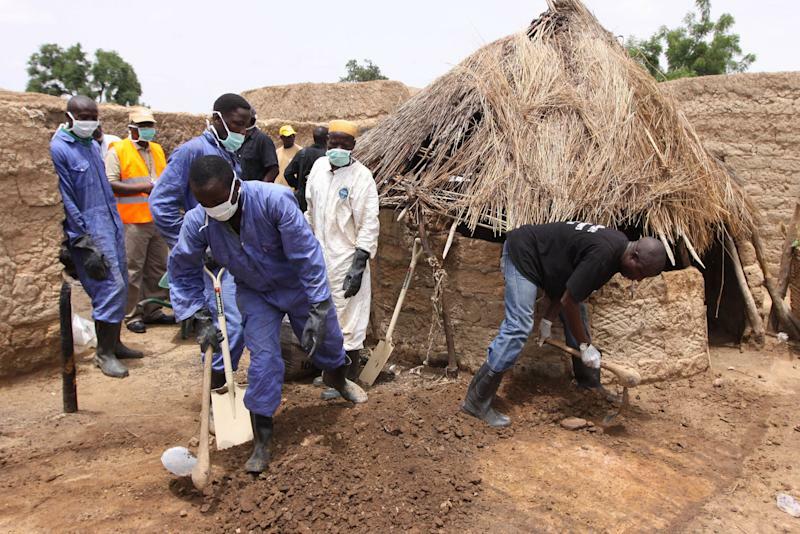 The Moscow, Idaho-based foundation advised Nigeria's northern Zamfara state government and oversaw the 5 ½-month cleanup, or remediation, of Bagega that ended two weeks ago. There, people were exposed to mindboggling rates of lead contamination: Some residential soil with up to 35,000 parts per million of lead and the processing area with over 100,000 parts per million, Tirima said. The United States considers 400 parts per million safe for residential soil. At the peak of the gold rush, Tirima said, more than 1,000 itinerant miners and followers were camped around the village — deep in the countryside, beyond the reach of paved roads and electricity and quite cut off in the rainy season when dirt roads become impassable. Despite its remote location, the booming economy attracted people from Burkina Faso, Mali and Niger to Bagega, which also drew many locals as a regional commercial center with a primary and high school, a hospital and weekly market. In addition, cattle herders and nomads came here to water their animals at a reservoir so dangerously contaminated it killed goats and cows. The entire human population of 6,000 to 9,000 was exposed, including some 1,500 children under the age of 5. Human Rights Watch said the death toll of 400 was only an estimate as villagers initially tried to hide the deaths, fearing the government would stop their illegal mining. The group said it was the worst epidemic of its kind in modern history. The government released money for the cleanup in February, Doctors Without Borders began prescreening in March and found that nearly every one of 1,010 children tested need therapy, Chouinard said. Of them, 267 are severely contaminated and will get chelation — where medication binds the lead to a child's blood and helps them to eliminate it faster from their system. All the children had more than the international standard maximum of 10 micrograms per deciliter of lead in their blood. Some had as much as 700 micrograms per deciliter, she said. The children will have to be treated for one to two years, she said. The more basic methods used to get at gold helped cause the poisoning. Some women used hammers to beat open rock ore. Others used some of the 60 grinding mills at a processing area adjacent to the village and water reservoir, Tirima said. Many took the rocks that carried high concentrations of lead into their homes for processing. The poisoning was facilitated because the particular lead compounds are very toxic and easily absorbed into the body, unlike other forms of lead, Tirima explained. 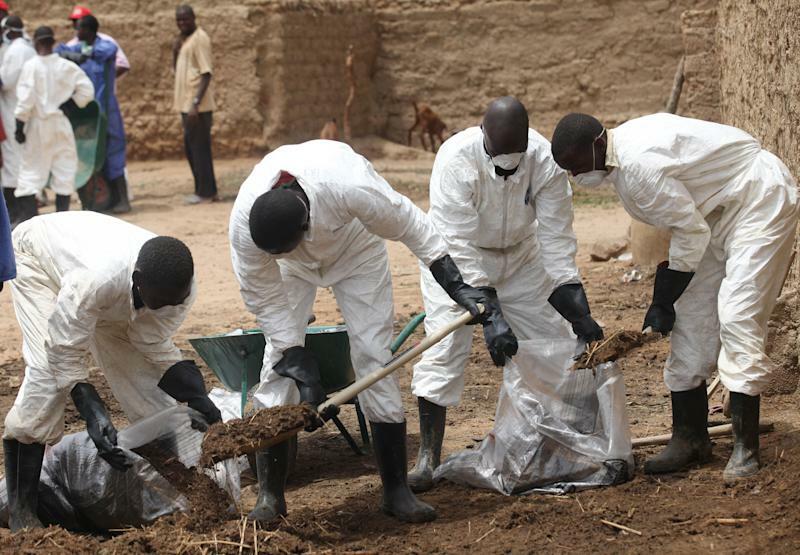 His TerraGraphics Foundation has trained dozens of Nigerians to clean up any future contamination. Government officials initially reacted by trying to enforce a ban on illegal mining. When that did not work, they promised to find other sources of income for villagers, but nothing has happened in a country where corruption is endemic. Tirima pointed to mounting evidence linking lead poisoning to crime waves and said he fears for the community when their poisoned children grow up.